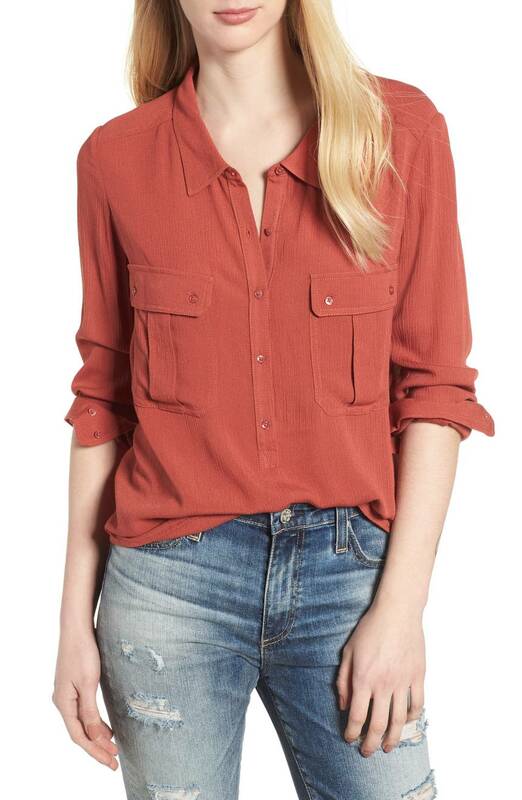 I thought we’d start out simple today, with this snappy Madewell short-sleeved button-down. Such a good red, and I dig the utilitarian pockets. 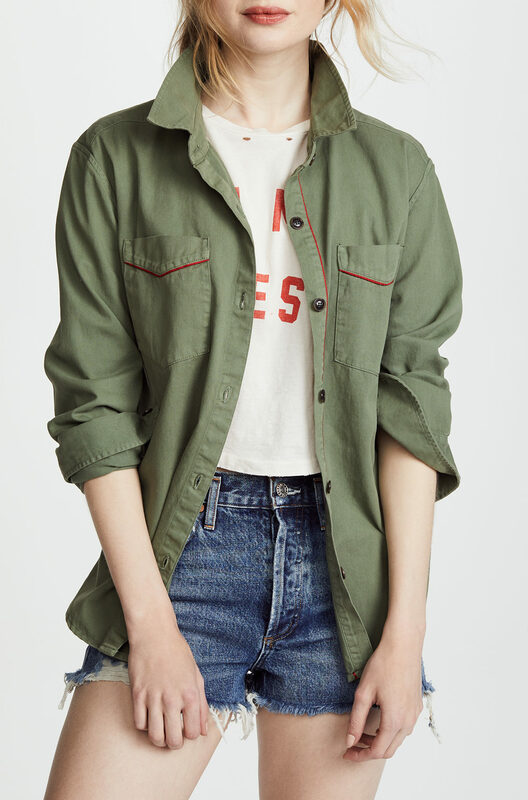 A denim shirt cut like a classic menswear button-down = aces. Pink stripes are a fun touch. 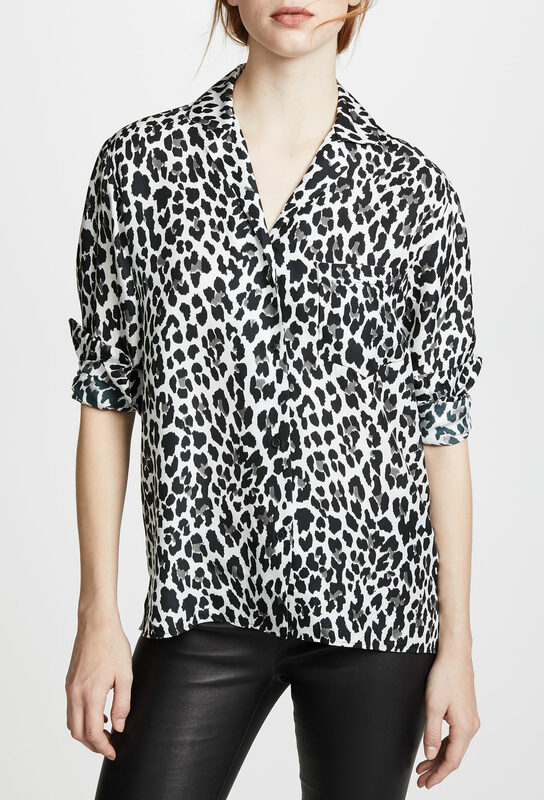 A statement-making print on a nicely slouchy shirt. I like the stripes on the sleeves here, as well as the poppy floral print. But here is the floral I’m really crazy for: such a good color combination. 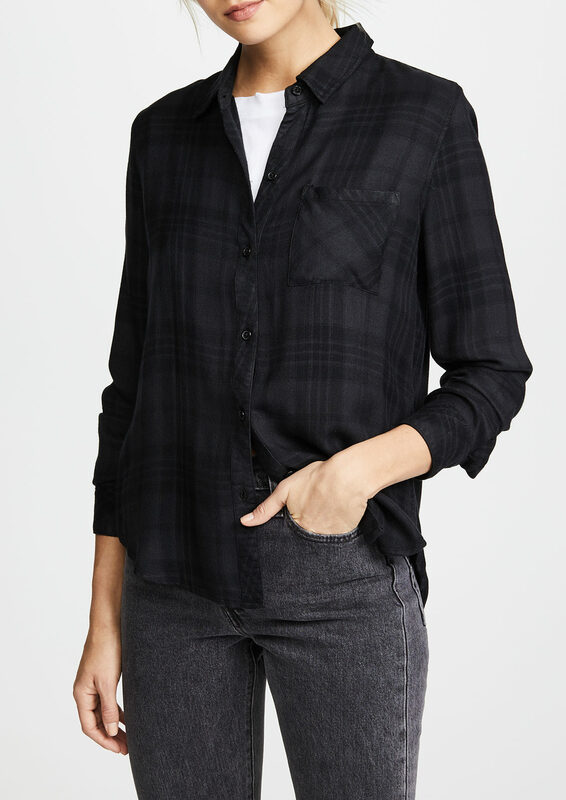 A black-on-black plaid is unexpected and quite cool. Such a good grey and black leopard print (and here’s a cheaper leopard print if you’re interested). The red piping here looks exactly right when contrasted with army green. Cherry prints are apparently having a moment, so I thought I’d include this, just for kicks. 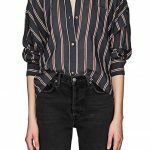 The washed-out stripes and frayed hem make this look like a beloved and well-worn item that’s been in your closet forever. Such a feminine choice, but not at all prissy. More great shirts! Between all of the button downs and the florals you recently posted, ready for spring to fully fling itself!! I really like the choices from & other stories, they have a veritable plethora of button downs. Love the poppy floral with the striped (knit?) sleeves. 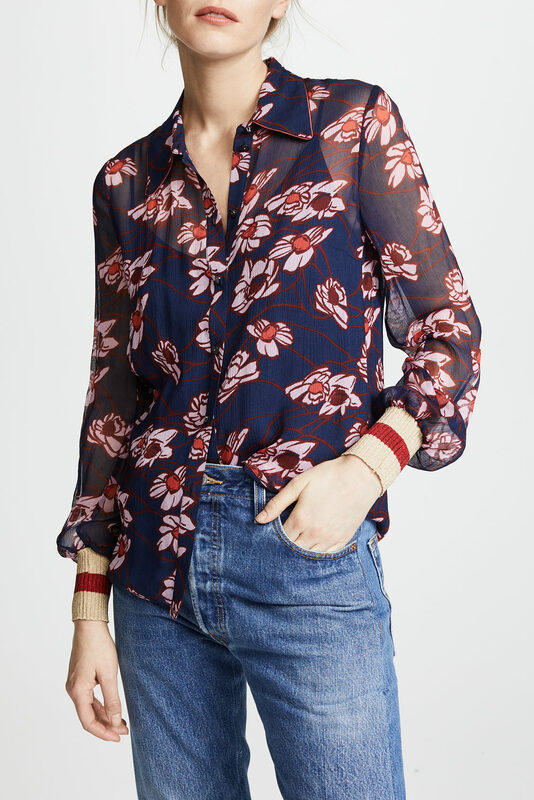 A different take on the button down, and it would go with so many things. I don’t know if the Frank and Eileen Barry denim shirt is cut like the other Barrys but if so, watch out. This style runs super small. I have one in white cotton and it’s an XL, and I usually wear a small to medium in most tops. Love the poppy floral with the striped (knit?) sleeves. 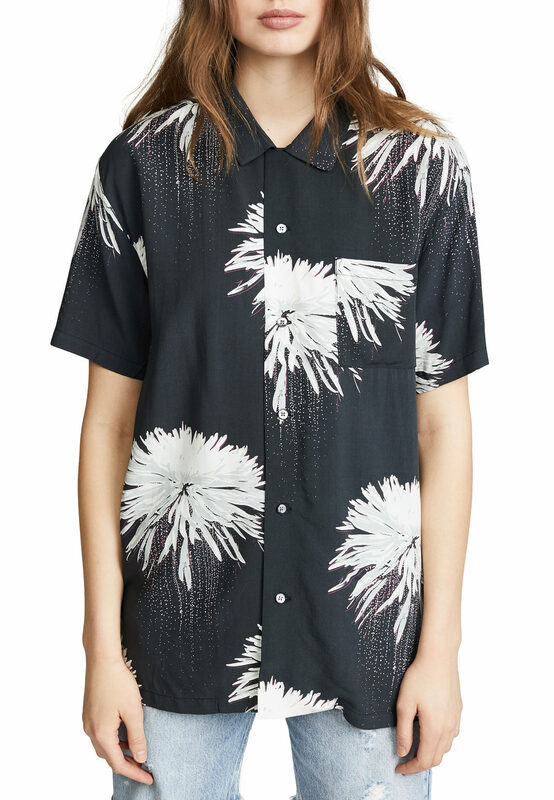 A different take on the button down, and it would go with so many things. I don't know if the Frank and Eileen Barry denim shirt is cut like the other Barrys but if so, watch out. This style runs super small. I have one in white cotton and it's an XL, and I usually wear a small to medium in most tops. Frank & Eileen shirts are my favorites. They’re pricey, but I can usually find them on-sale. The striped one from Velvet is good, too…and finally, something they make that doesn’t require dry-cleaning! Frank & Eileen shirts are my favorites. They’re pricey, but I can usually find them on-sale. 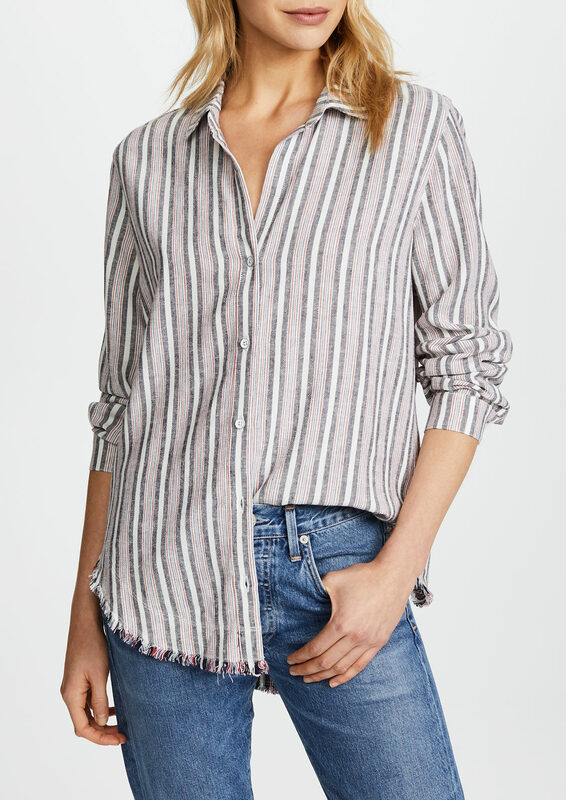 The striped one from Velvet is good, too...and finally, something they make that doesn’t require dry-cleaning! 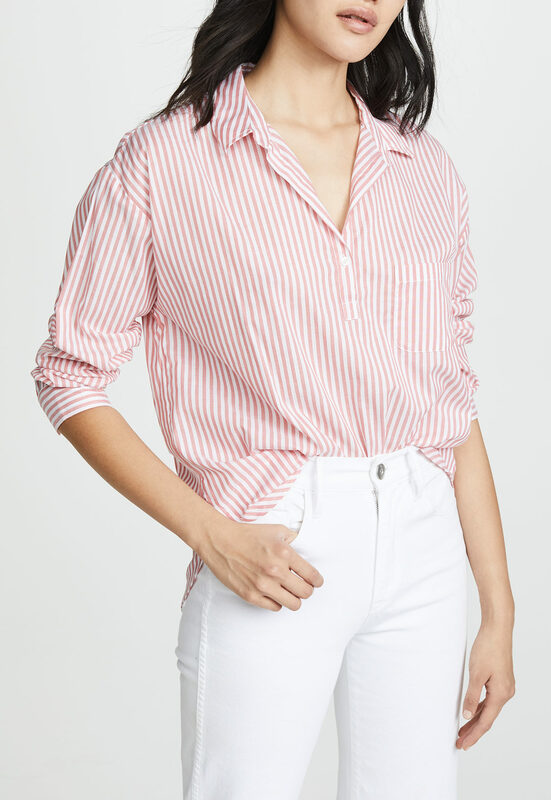 This might have been noted by someone before, but I love how all these shirts look in photos but when i try on button-downs, i just ends up looking like a lunch-lady uniform. I *think* they look best on smaller busted folks because i can’t get that effortless, slouchy vibe. I want to be proven wrong though! Anybody have any ideas for styling? 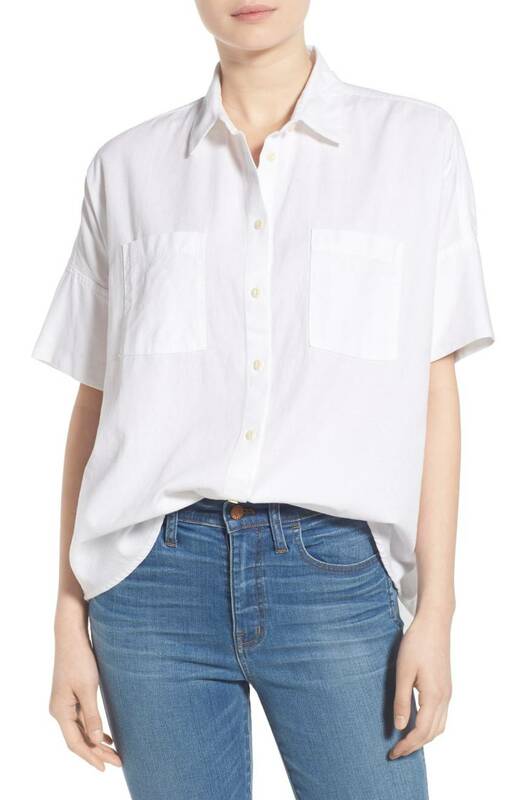 This might have been noted by someone before, but I love how all these shirts look in photos but when i try on button-downs, i just ends up looking like a lunch-lady uniform. 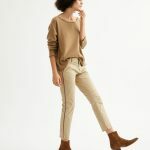 I *think* they look best on smaller busted folks because i can't get that effortless, slouchy vibe. I want to be proven wrong though! Anybody have any ideas for styling? 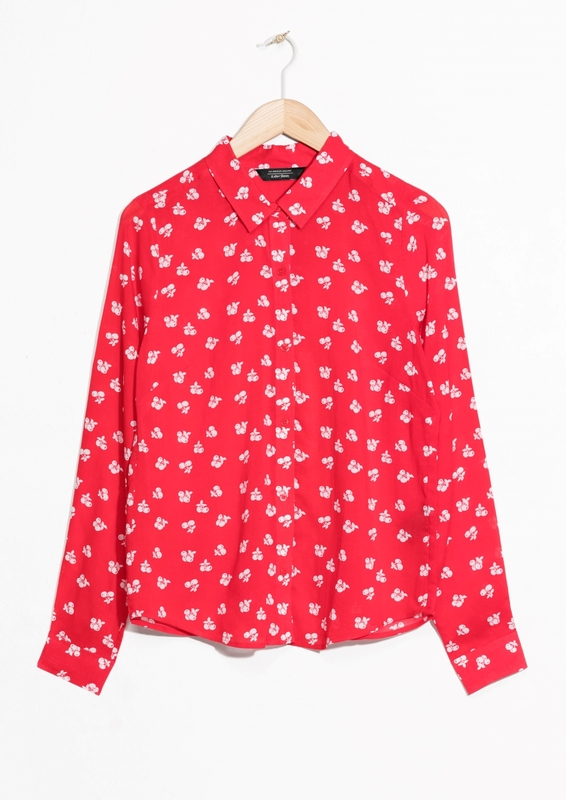 Link not working for floral shirt from & other stories – searched through merch but could not relocate. Link not working for floral shirt from & other stories - searched through merch but could not relocate.